Over the last few weeks, I've found myself craving for some chocolate cake. Now I could very easily just pop over to one of the shops not far from where I live and pick one up. Believe me, there is no shortage of cake shops and cafes in Sydney city. But all of these are a little bit of a walk away and I really wanted to bake one myself. Now seeing as to how I don't have access to an oven, that was going to be a bit of a problem. But then I remembered seeing some posts on a number of blogs that featured microwave mug cakes, small portions of yum that I could be biting into in a matter of a few minutes. That would be much quicker that getting to a cafe to buy some cake. So I began my hunt on the internet and found a recipe that I decided to try. I was really excited about it. 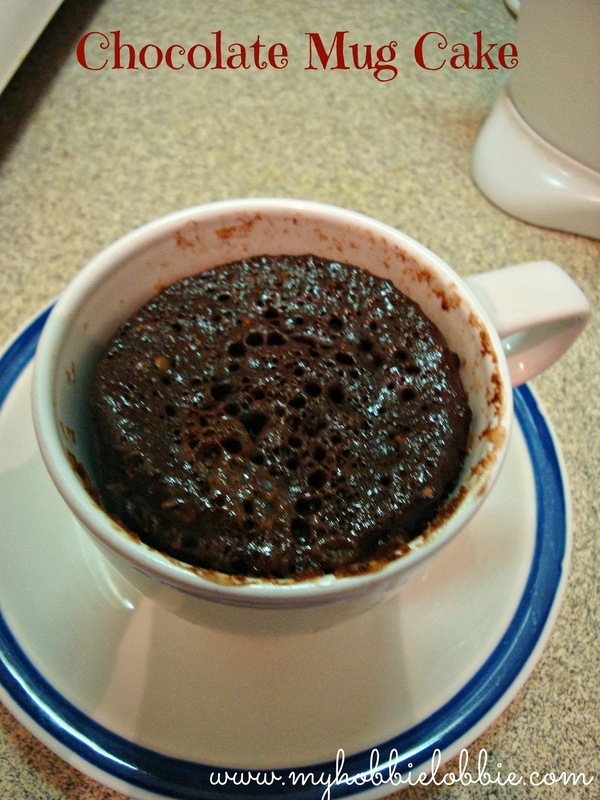 Its as simple as putting the ingredients into a microwave safe mug, whisking it up and baking it for a few minutes. And you have about enough time to whip up a nice cup of tea while your cake gets ready. Oh, please don't be over eager like me. You have to let the cake stand for a while after baking, or else you'll be left with a burnt mouth. The cake does get insanely hot, so please do yourself a favor and try to wait, no matter how difficult that may seem at the time. Anyway, I do hope you try this recipe. Place the oil, milk, egg and extract in a large microwave safe mug and whisk together using either a whisk or a fork until combined. Add the flour, sugar, cocoa powder and salt and mix until combined. *If you'd like to add chocolate chips, stir in 3 tbsp chocolate chips. There you go, your cake is ready!